Rice Noodles With Chicken, Mushrooms Mun And Vegetables, Prepared In Wok. Top View. Banco De Imagens Royalty Free, Ilustrações, Imagens E Banco De Imagens.. Image 63049528. 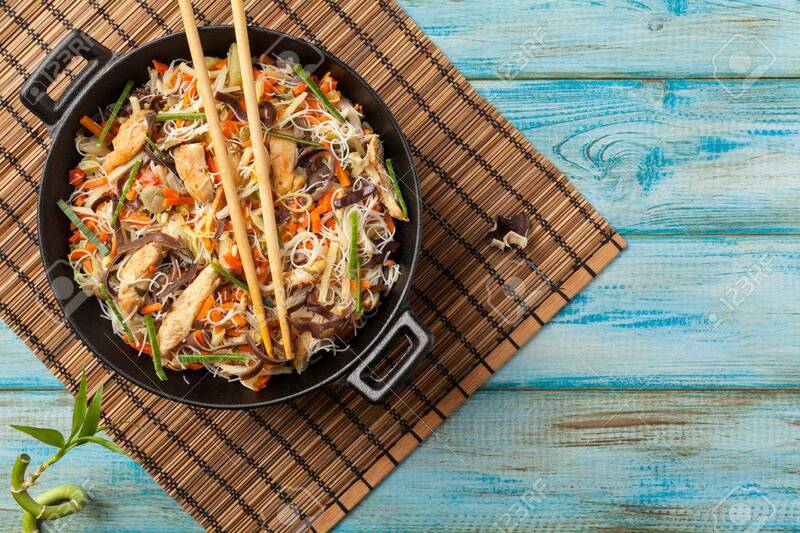 Imagens - Rice noodles with chicken, mushrooms mun and vegetables, prepared in wok. Top view. Rice noodles with chicken, mushrooms mun and vegetables, prepared in wok. Top view.